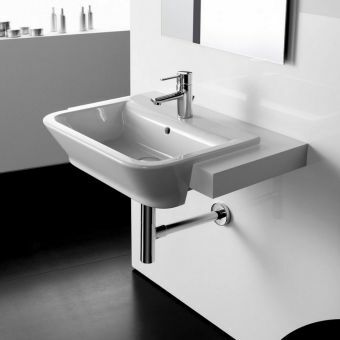 The humble recessed basin has ben reborn with this offering from German mnufacturerVilleroy & Boch. 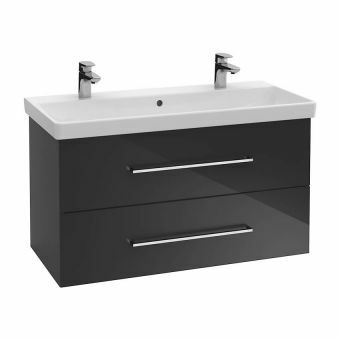 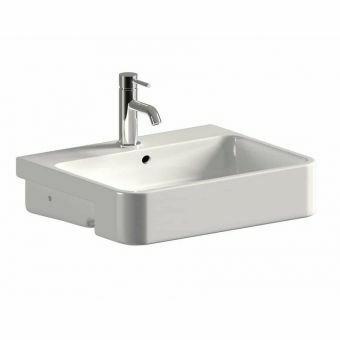 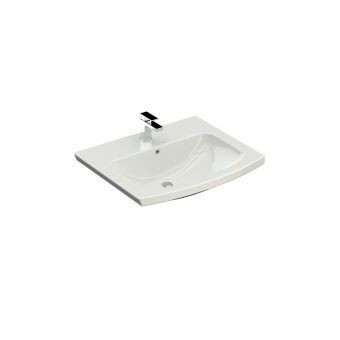 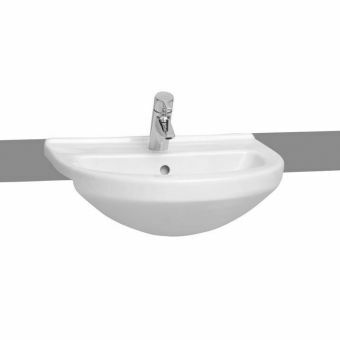 The usual style for this type of basin is a large overhanging front that can look bulbous and overbearing but this new design has a light and elegant appearance with a slim front that seems to disappear into the coutertop giving an illusion of space. 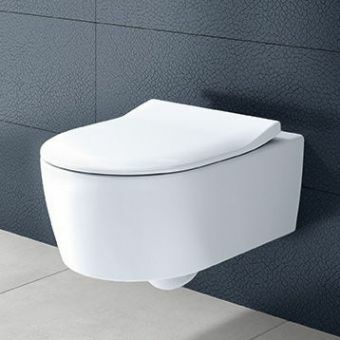 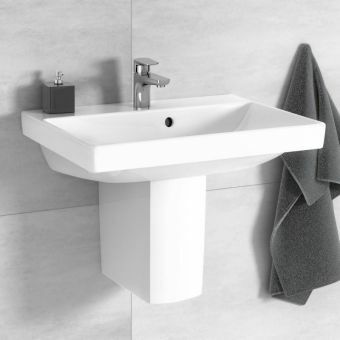 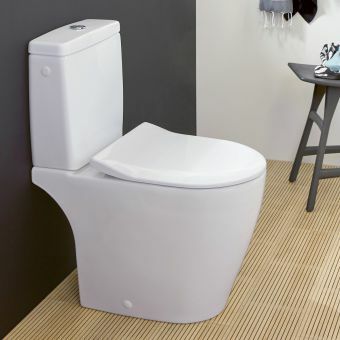 At a standard width of just 550mm, the elegant sculpted lines will never go out of style and with one of the latest mixers fitted to its single tap hole this efficient space saving solution will be the showpiece of your new bathroom. 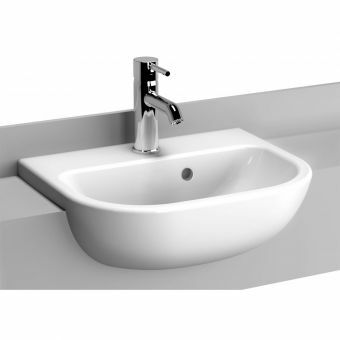 If required, your plumber can knock out a further two holes allowing you to have the more traditional appearance of a central spout with a hot and cold controls. 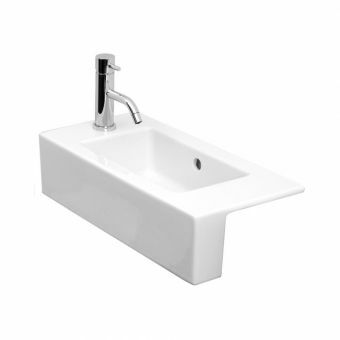 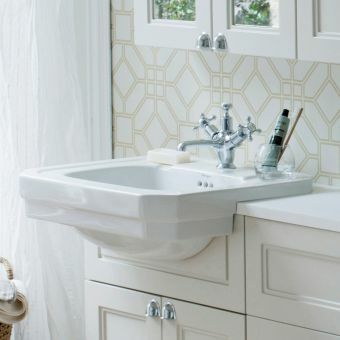 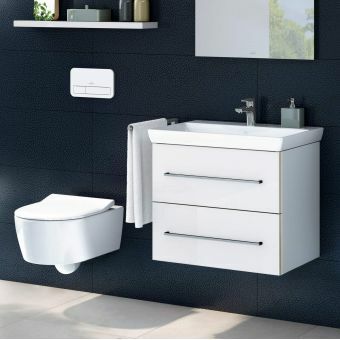 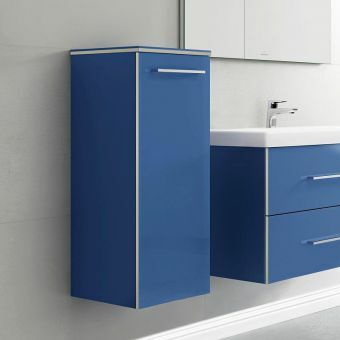 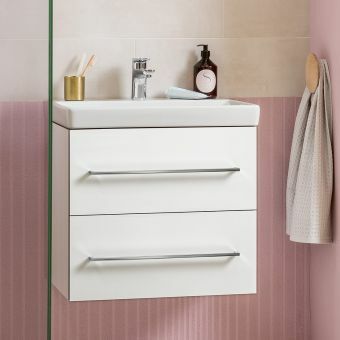 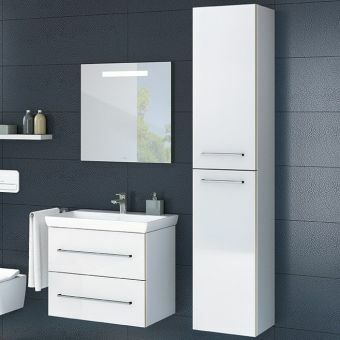 Designed to fit into a countertop or a piece of bathroom furniture, the simple elegance of this piece will compliment any bathroom environment. 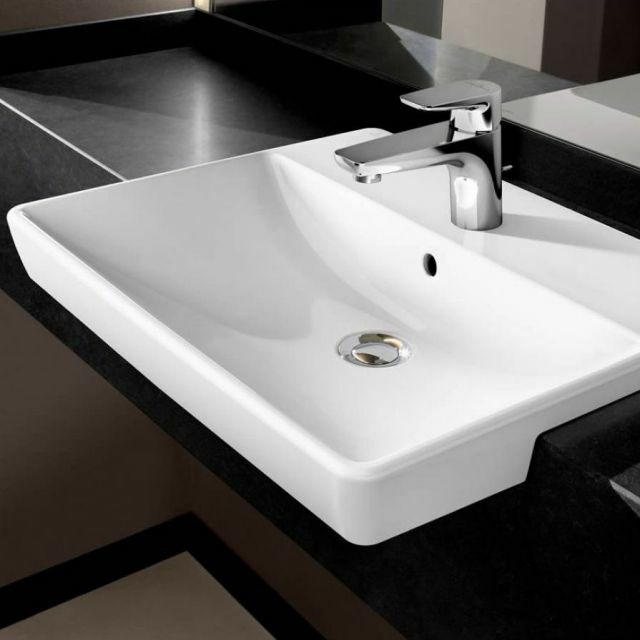 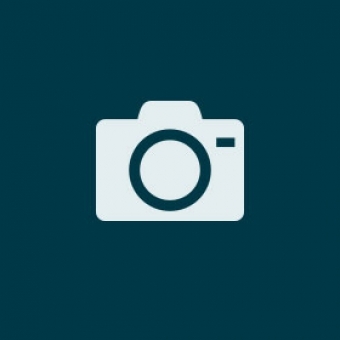 To aid installation, a fitting template is provided to allow for a perfect fit.